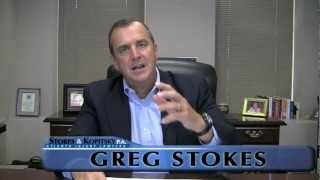 Contact Us | Stokes & Kopitsky, P.A. Call Us 24/7. We Will Fight For You! We’ll answer your call any day of the year at any hour. Please include your telephone number and the best time for us to call you. 100 Colony Square is located in Midtown Atlanta on the corner of 14th and Peachtree Street, about 2 blocks west of Piedmont Park. Our office is on the 8th floor of the south-west side of the building. Parking is available in a parking garage accessed from Peachtree Street; our receptionist can provide you with free parking validation. You may also use the form below to contact us. We will answer you as quickly as we can, both during the business day and after hours. Please remember that before we can become your attorneys, we must both first sign a written attorney-client agreement. We look forward to helping you! Can I Hire an Attorney Without Paying a Dime? We will answer you as quickly as we can, both during the business day and after hours. Disclaimer: Please do not include any confidential or sensitive information in this form. This form sends information by non-encrypted email which is not secure. Submitting this form does not create an attorney-client relationship.